“Readings for Racial Justice: A Project of the IWCA SIG on Antiracism Activism.” Beth Godbee, Bobbi Olson, and the SIG Collective. Published by IWCA and Distributed in 2014. In what follows, we introduce the IWCA SIG on Antiracism Activism Annotations Project by, first, situating the need for this work in writing centers; second, sharing the history and aims of the SIG; third, discussing the project with particular attention to its need, the collaborative creation process, and an invitation to become involved; and finally, concluding with other thoughts on how readers might read and use this collection of resources. The annotations that follow represent initial efforts at sharing resources with the wider writing center community: twenty-nine contributors added to this document, and we imagine that the Collective will continue to grow as the project is carried forward. Though the annotations reflect only a fraction of many, many important sources on race, anti/racism, and racial justice, they are offered as a starting point and for discussions in writing centers. 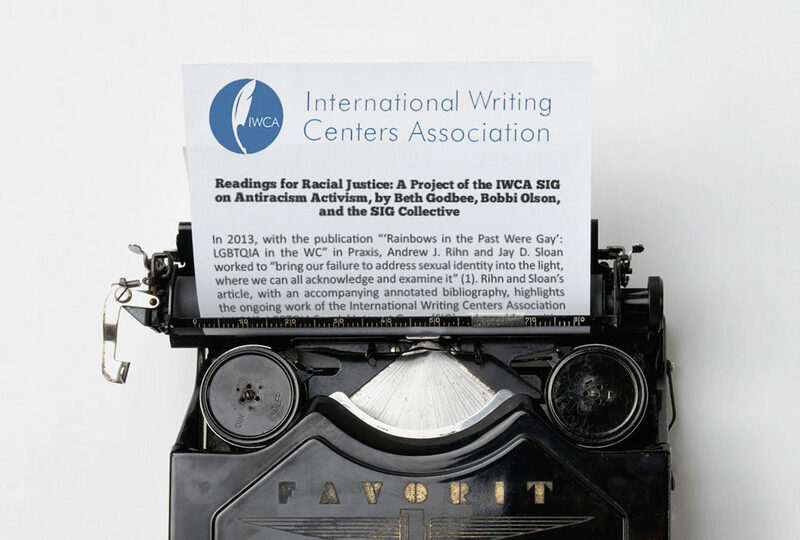 The IWCA SIG on Antiracism Activism supports writing center practitioners in working to contest racism at multiple levels: in the immediate context of the writing conference and local writing center and more widely through systematic cross-curricular and cross-institutional initiatives.